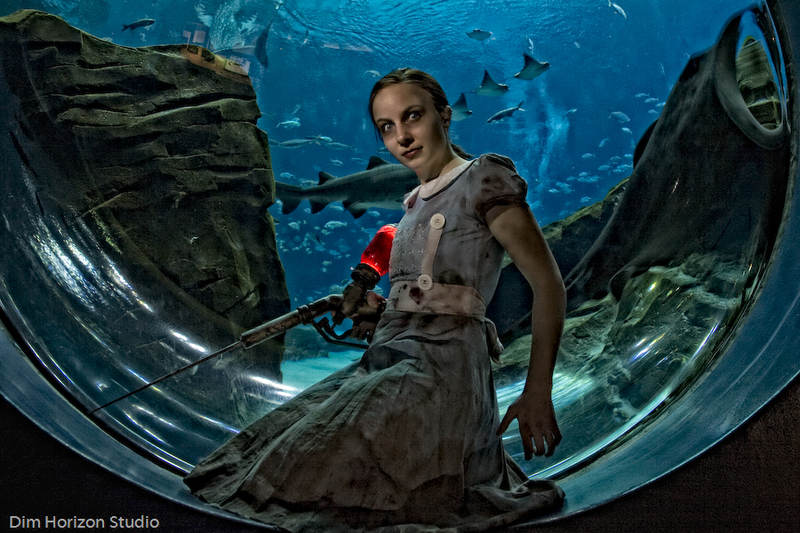 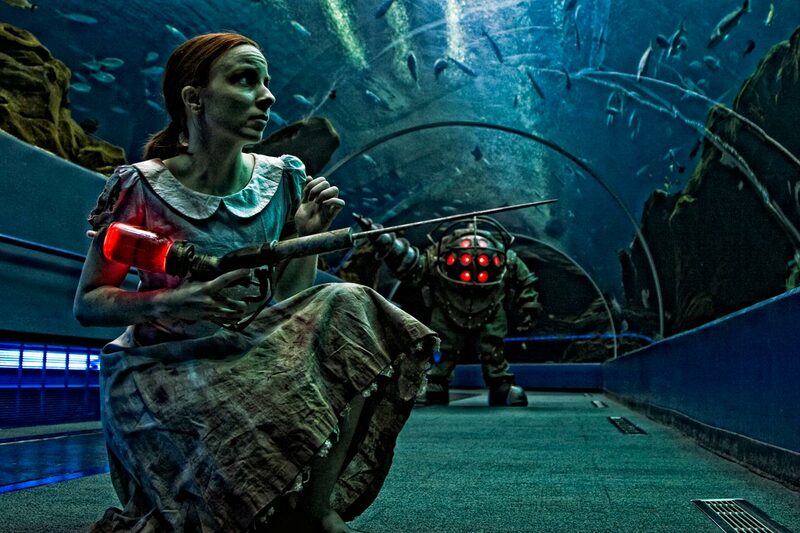 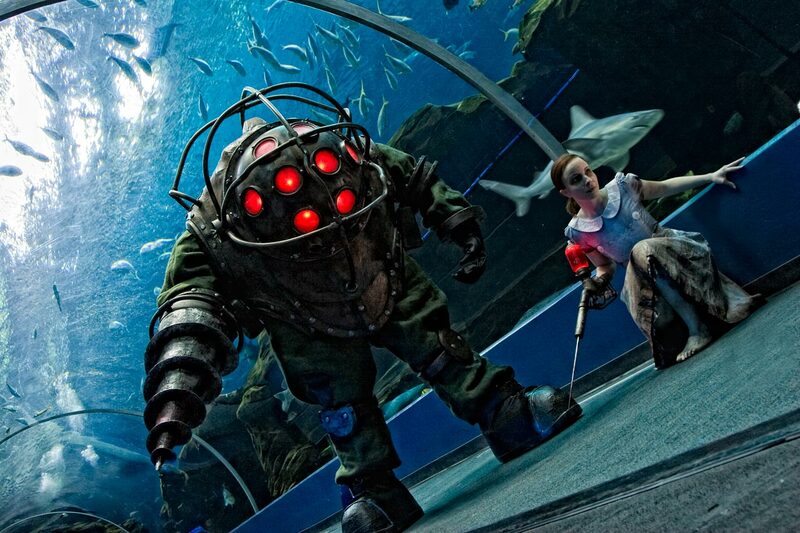 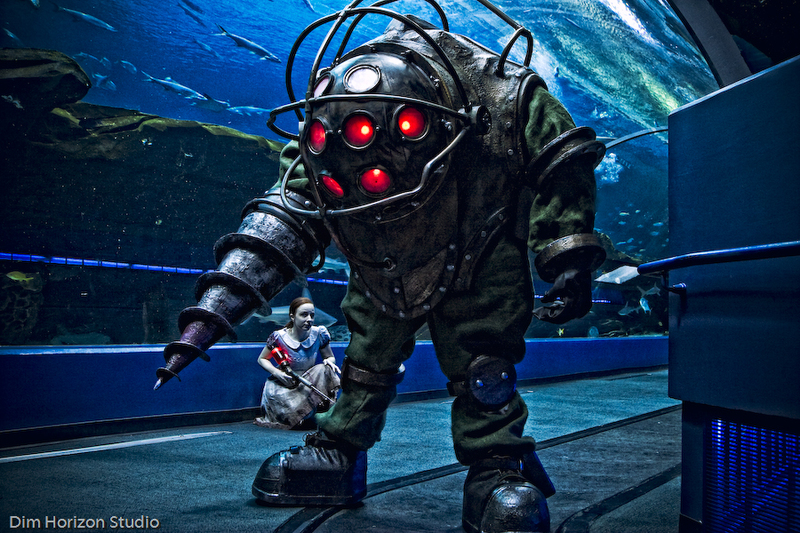 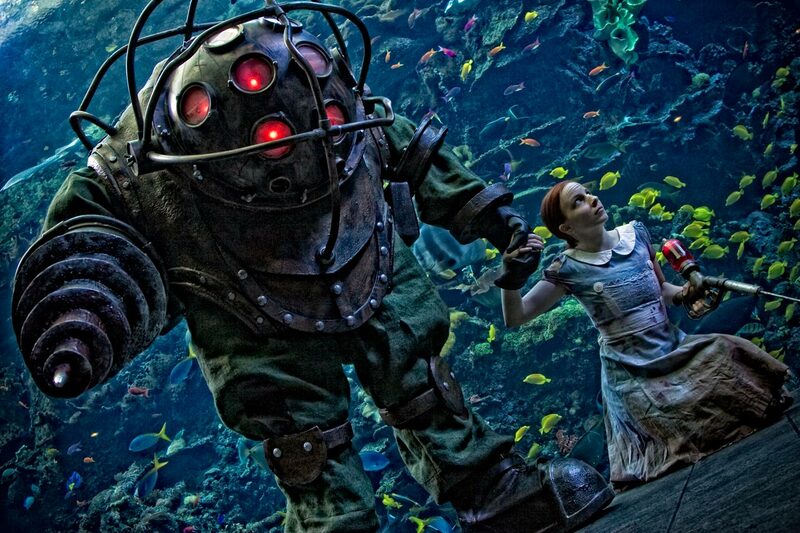 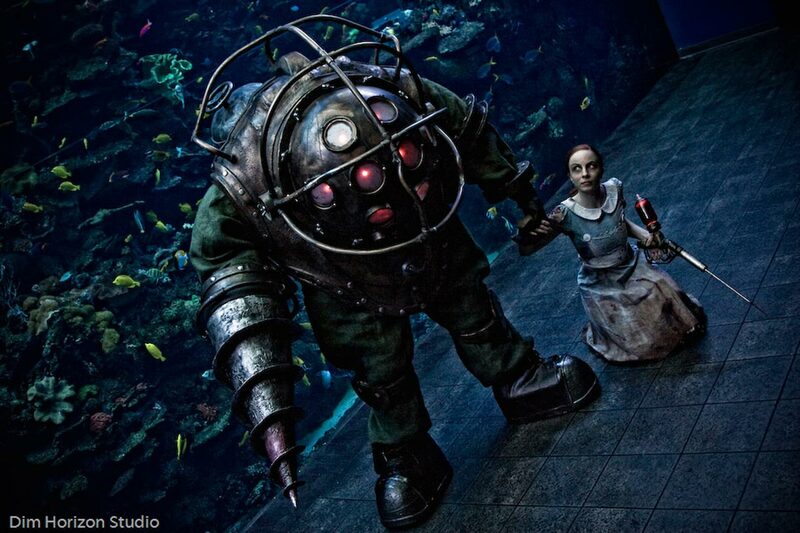 The Little Sister Syringe and Big Daddy Suit, both from 2K Studio’s Bioshock, were created as personal projects in 2009. 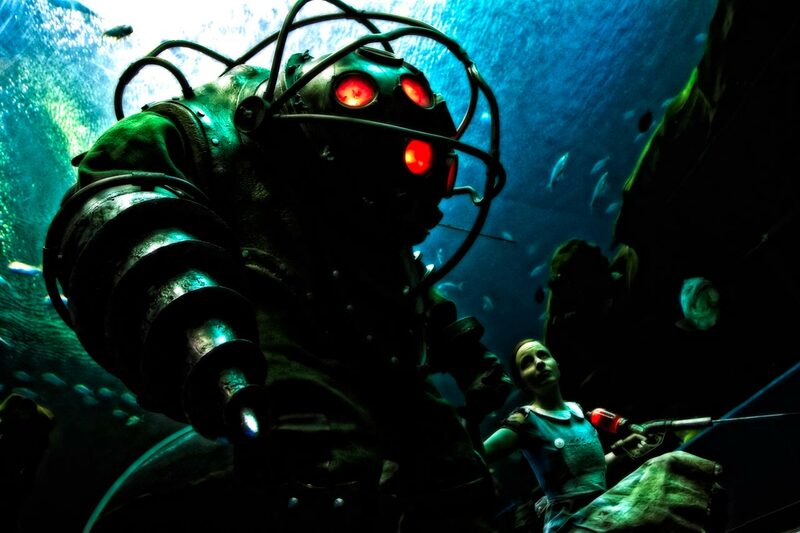 While the syringe uses mostly found objects as its base, the bouncer Big Daddy suit was a custom scratchbuild from the ground-up that took nearly two full months to complete. 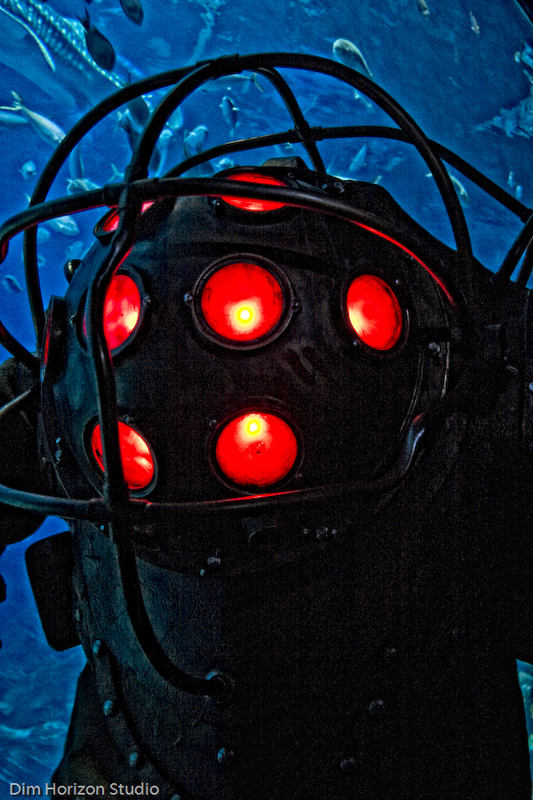 The suit is designed to be both wearable and mobile, with a functioning drill arm and removable porthole illuminations. 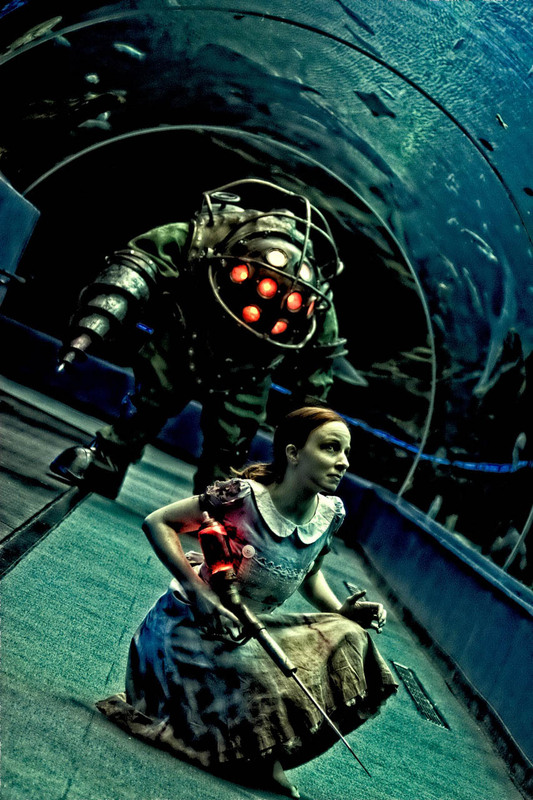 The wearer stands on 7” tall lifts to assume a more menacing posture, with arm extensions filling out the rest of its hulking frame. 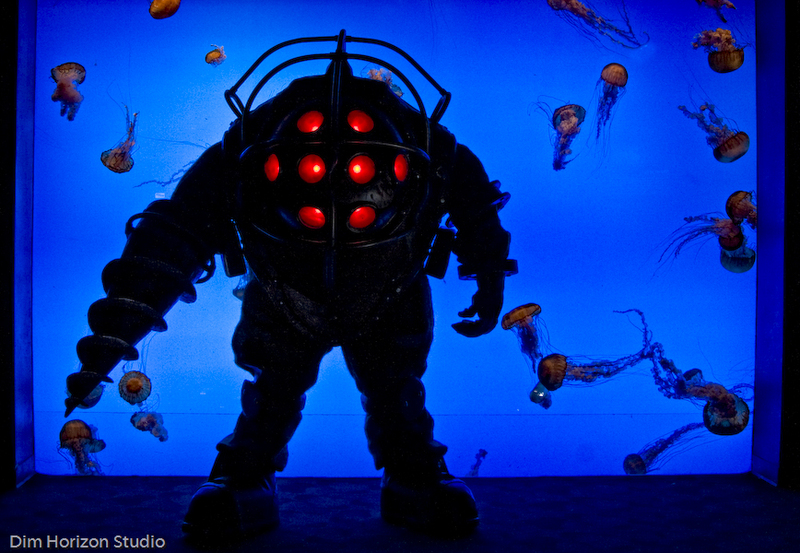 Click here for the Big Daddy’s design and build log. 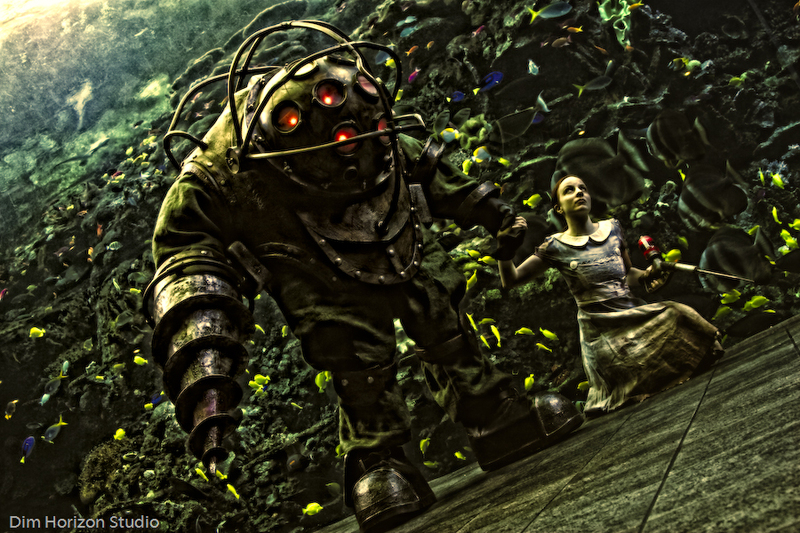 Click here for the Little Sister ADAM Syringe’s design and build log.